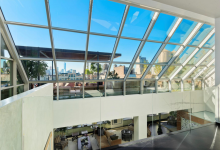 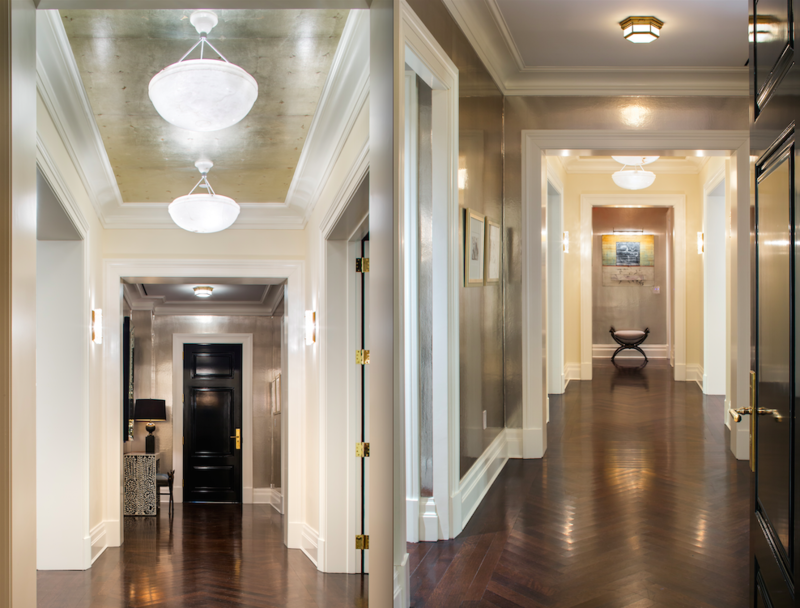 The stylish foyer of this six-story townhouse at 150 Reade Street (yours for $14.750 million) is adorned with new, custom-blackened steel, glass vestibule doors and tailor-made closets.150 Reade Street (yours for $14.750 million) is adorned with new, custom-blackened steel, glass vestibule doors and tailor-made closets. 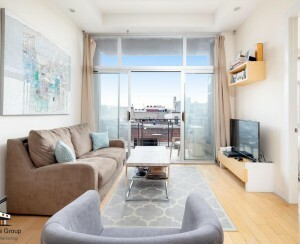 While it’s true that a foyer isn’t likely at the top of the average person’s dream apartment wish list, if ever you’ve lived in a New York City home in which the front door opened directly into the living room or kitchen, you know that a proper entry (with a closet or two and, perhaps, a place to toss the keys and mail) is not an apartment feature that can be underestimated. At 20 East End Avenue, a three bedroom, three and a half bathroom condo (for sale at $6.575 million) features an entry gallery with Appalachian white oak flooring in a dark walnut stain and herringbone pattern, not to mention custom-paneled entry doors. 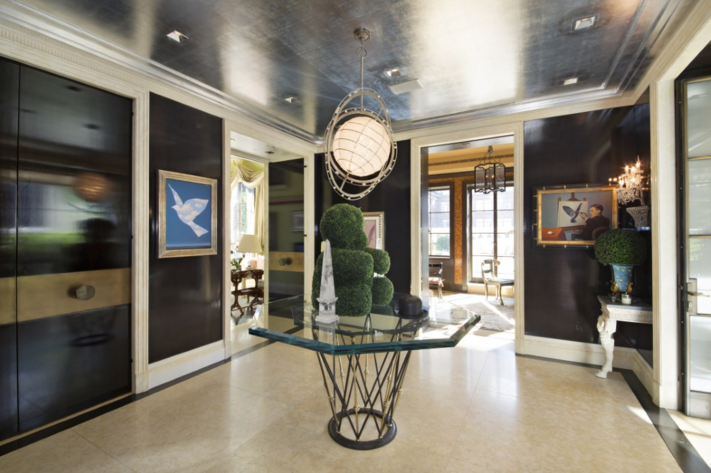 The windowed entry vestibule of this four bedroom penthouse condo at 171 West 57th Street (on the market for $18.5 million), leads to a large gallery, a cozy library with a wood burning fireplace and, for those who like to entertain, a dining room that seats thirty. 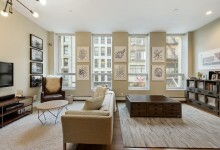 At 610 Park Avenue, a three bedroom, thee and a half bathroom condo listed at $14.950 million, a vestibule leads into an oval-shaped entry gallery and beyond that, an oversized living room with wood burning fireplace and adjacent open library and separate formal dining room complete with a concealed 132 bottle Sub-zero wine cooler. 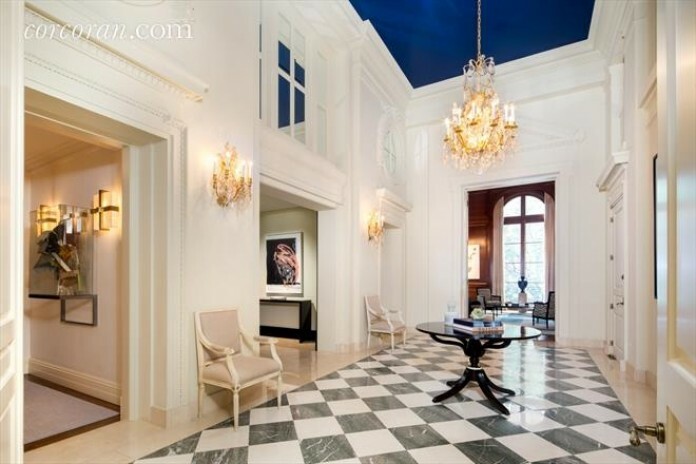 The entry of this seven bedroom duplex condo at 3 East 95th Street (priced at $28.8 million) includes a vestibule and, beyond it, a 14’ x 24’ reception hall with 20’ ceilings that leads into a grand salon and a dining room.